What Did Jesus Mean When He Said He Would Come on the Clouds? Answer: That is what Jesus said would happen. This is a reference to Daniel 7 and a vision Daniel had of one like a son of man coming to the Ancient of Days and receiving from Him an eternal kingdom. All would bow down to, serve and worship, this son of man. Stephen, the first martyr, got a glimpse of this in advance when as he was dying he saw heaven opened and Jesus standing at the right hand of God. Jesus is referring to his second coming, which will be the polar opposite in many ways of his first coming. He will be seen in all his glory and no one will be able to deny that he is the Messiah, the Son of God. The book of Revelation depicts the judgments that will be poured out beforehand (Revelation 6-19) and his coming with an army to bring his kingdom to earth. Related Articles: Is It Possible the Kingdom Has Already Come? Why Did Caiaphas Say It Was Good for Jesus to Die? Question: Why in verse John 18:14 does Caiaphas advise the Jews that it would be good if one man died for the people? Answer: Caiaphas believed that Jesus was a threat to the commonwealth of Israel because he was claiming to be the Messiah. Several others had made similar claims in recent years and tried to start rebellions against Rome. He felt that Jesus might stir up the Romans to clamp down even tighter on Israel and this would be a threat to the high priest’s authority and a challenge to the effectiveness of his influence. From God’s perspective it was good for one man, the God-Man Jesus, to die for (the sins of) the people that they might be redeemed from divine retribution. God’s wrath rests on all who follow their own ways and the only means of forgiveness is for someone to pay the penalty for our disobedience. That is what Jesus’ death accomplished. How Do We Know that What David or Solomon Wrote Was True? Question: How do we know that everything David or Solomon wrote is true? How do we know that one of the Psalms was not written while David was contemplating sleeping with Bathsheba or a Proverb was written after Solomon got in a fight with his 57th wife? Answer: There are three issues here in regards to the question of truth. Does inspiration of Scripture guarantee that what we have is an accurate record of what they wrote? The answer is yes. Inspiration guarantees that what is attributed to David and Solomon is accurately so attributed and accurately recorded. This, however, does not guarantee that what they wrote is true, just that it is accurately recorded. The words of Satan are accurately recorded, also, but that does not guarantee that what he said is true. Did David and Solomon express their true feelings when writing? Yes, absolutely. When David says in Psalm 139:5 that he feels hemmed in by how much God knows his every motive, that is a true feeling. But by the end of the psalm he is inviting God to know him in this way. His feelings have changed in the course of his meditation on God’s knowledge and you can see the change chronicled in the psalm. This encourages us to express to God our true feelings, even if they are not the best feelings to have and are in need of change. Did everything David and Solomon wrote have the character of normative truth (true for all people and all times)? Yes and no. David wrote, “My God, my God, why have you forsaken me?” (Psalm 22:1). Had God actually forsaken him? No, but that is how it felt. When Jesus quotes this verse as He is dying on the cross, however, He is stating a truth that David’s experience forshadowed and it is really true for Jesus, because He bore our guilt before God and God forsook Him as penalty for our guilt. When Solomon wrote, “Do not answer a fool according to his folly” in Proverbs 26:4 and then, in 26:5 wrote, “Answer a fool according to his folly,” he was demonstrating part of the genius of proverbial wisdom. There are not always normative absolutes for every situation and Proverbs is not trying to give such absolutes, but rather principles that are normally true but not exhaustively true for every situation. If we keep these considerations in mind we will be more discerning when reading Scripture and not confuse others or ourselves about what authority Scripture has. It is our authoritative standard for truth. Everything in it is not therefore true, but only those portions that are intended as normative truth. Because, for example, the Bible does not purport to give normative truth about all things astronomical, when it says that the sun rises it is not to be understood that Scripture is asserting that the sun revolves around the earth. But when it tells us that the only way to heaven is Christ and faith in Him, that is definitely within the realm of intended normative truth for us. 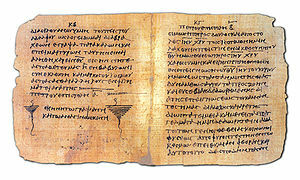 Question: How do we know that everything Paul wrote is true? Answer: Jesus told His apostles in John 16:13 that when the Spirit of truth came He would lead them into all truth. 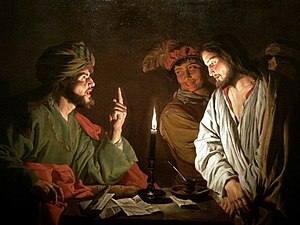 Jesus himself taught his disciples how to interpret the Old Testament (Luke 24). He was preparing them to lead the church with authority and truth. Paul often declares himself to be an apostle of Jesus Christ, appointed by Him after the others but in no way less authoritative than them (Romans 1:1, 5; 11:13; 1 Corinthians 1:1; 4:9; 9:1, 2, 5; 15:9; 2 Corinthians 11:5; 12:11, 12; Galatians 1:1; 2:8; et al). He indicates that his teaching is to be obeyed (1 Corinthians 14:36,37; 15:1-4; et al). Interestingly, in 2 Peter 3:15,16 Peter refers to Paul’s writings as “Scripture” (“His letters contain some things that are hard to understand, which ignorant and unstable people distort, as they do the other Scriptures, to their own destruction.”). And the testimony we have from Paul and Peter is that the Scriptures are God breathed (2 Timothy 3:16) and from the Holy Spirit (2 Peter 1:21). So from a biblical perspective, Paul’s writings are Scripture that is divinely inspired and produced by the Holy Spirit to give us doctrine and training in righteousness. They are meant to be taken by us as God’s Word. Without this assurance we would struggle to really know how to discern God’s will in our lives. Our understanding of the gospel would be at stake. We need these authoritative words in order to know how to live before God. Can Satan Read Our Minds? Question: I believe that Satan cannot possess me but can he put thoughts in my head. It seems that he can, but if so how? How would he know my thoughts or control them without being inside of me? Answer: I wish I knew all the answers to these questions. It could be that he knows human beings well enough from our behavior, having watched us for many millennia. This enables him to predict our thoughts to a fair degree. I don’t believe he can read them, but I can’t prove that. It seems too God-like a thing for him to be able to do. How he influences our thoughts, I don’t know. It has seemed from my experience that he or demons can create an ambiance, air, feeling of something like fear or shame or whatever, that we pick up on and adopt as our own. But when we take authority over the unclean spirit or spirits in the name of Jesus the ambiance disappears. We may have some of our own legitimate fear, shame, or whatever, that still remains, but it seems to have been magnified by what Satan or a demon does. Perhaps you’ve been around someone who was down or fearful and it began to arouse in you the same feeling. This may be what is going on when demons purposely seek to sway us in wrong responses to the situations in our lives. They don’t want us to see the truth that God is with us and that we need not despair, or be distraught with fear, or controlled by lust, or whatever other inhibiting attitude or concern they might induce us to. Standing on the truth of God is the key to overcoming their evil influence (Ephesians 6:10-18). The corollary to this truth is that we can be people of positive influence in the lives of others as we display courage, faith, purity and joy in the Holy Spirit.